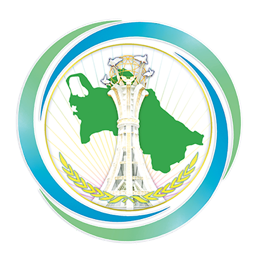 On the 4th of February, 2019 a meeting was held at the Ministry of the Foreign Affairs of Turkmenistan with the representatives of the Interstate Found for Humanitarian cooperation of the Commonwealth of Independent States (IFHC) Ms. Elvira Dolya, Deputy executive director of the IFHC of the CIS and Mr. Alexander Goncharov, the counselor of the Directorate, who came to Ashgabat on a working visit. During the meeting an exchange of views took place with the Commonwealth of Independent States representatives on the constructiveness of close cooperation with Turkmenistan. In addition the importance and necessity of Turkmenistan’s participation to the activities of this organization was stressed. Then parties looked at the issues concerning the recent negotiations that took place at the Ministry of Foreign Affairs of Turkmenistan regarding the organization of the XIV Forum of Creative and Scientific Intelligentsia of the Commonwealth of Independent States on high-level. During the meeting the parties have also looked at the protocol issues relevant to organization of the XIV Forum of Creative and Scientific Intelligentsia of the Commonwealth of Independent States.